After losing its five MAAC-series winning streak last weekend to Iona, the Quinnipiac baseball team bounced back and took two out of three games against Niagara this weekend. The teams split the games on Saturday on Quinnipiac’s Senior Day by scores of 6-3 and 10-6, but the Bobcats (22-25 overall, 13-5 MAAC) secured the series win with a 8-1 victory on Sunday over the Purple Eagles (18-24 overall, 8-10 MAAC). In the first game on Saturday, the Bobcats got their sluggers going, as both senior infielder Ben Gibson and junior outfielder Liam Scafariello each hit home runs early. Gibson hit his 13th of the season in the first inning to get the scoring started, a solo shot to put the Bobcats up 1-0. 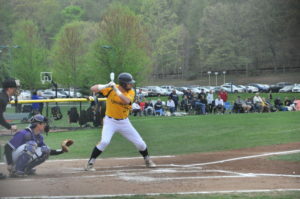 Scafariello then hit his 10th home run in the fourth inning, a two-run home run to break a 1-1 tie. A three-run sixth inning would put the Bobcats up 6-1 and despite a couple late runs by Niagara, the Bobcats held on to win 6-3. Luciani went eight innings, picking up his eighth win on the season in the process. Senior closer Mike Davis recorded his fifth save on the year, his 14th career save, which is now a school record. The second game did not go as well for Quinnipiac. Graduate senior Brandon Shileikis was knocked around by the Purple Eagles, giving up 16 hits, nine runs and seven earned runs through 5.1 innings. It was the most hits Shileikis has given up this season. Senior infielder Owen Dziados led the way for Niagara, going 3-for-5 with four RBIs, followed along by junior infielder Greg Cullen and senior outfielder Wyatt Olson, who each had two RBIs. Quinnipiac had the long ball going again, as junior outfielder Brian Moskey, sophomore infielder Evan Vulgamore and Scafariello each hit home runs. However, the offense of Niagara outdid the efforts of the Bobcats and Niagara evened the series with a 10-6 victory. 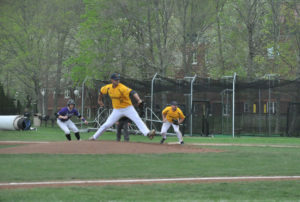 On Sunday, it was a dominant performance on the mound by junior Tyler Poulin that propelled the team to an 8-1 victory. 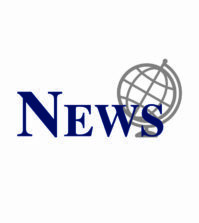 Poulin went seven innings, giving up only six hits and one earned run. Scafariello homered in the second inning, a no-doubter to left, his 12th on the season and third of the weekend. After Niagara tied it in the fourth on a double steal, the Bobcats capitalized on a couple of errors by Dziados, bringing in three runs and regaining the lead, 4-1. The Bobcats never looked back from that point, as both Gibson and Vulgamore knocked in runs in the seventh. Gibson ripped a two-RBI double, and then Vulgamore followed with a double of his own to bring in Gibson. An error by Niagara’s senior outfielder Trevor McCauley on a Scafariello fly ball brought in Vulgamore right after and Quinnipiac maintained that 8-1 lead for the rest of the game. Quinnipiac now will shift its focus to Marist, a team that is tied for second in the MAAC and also are the defending champions. Quinnipiac and Marist (24-17 overall, 12-6 MAAC) will face off in a weekend series starting Saturday, May 12 at 12 p.m. at Marist College.